In October 2016 I had the pleasure of accompanying Kristy Hitchings and Julie King from Into Your Hands-Africa on their trip to Uganda. It was the most amazing trip I could have ever imagined! Part of my time in Uganda was spent visiting a few of Into Your Hands-Africa’s beneficiary schools St. Denis and St. James. It was during this time that I was introduced to a young girl named Florence. Florence’s parents were both deceased and she was helping raise her younger brothers and sisters. It is very difficult to stay in school when you have a family to support! I decided then that I would sponsor Florence’s education in secondary school through the organization’s Hands of Hope scholarship program. It is my hope that Florence will graduate and I can then sponsor her while she attends vocational school! We also spent some time visiting the families involved in IYH’s agricultural and livestock projects. Through the generosity of IYH and their supporters, these families are taught valuable skills and awarded an enterprise project in their choice of piglets, chickens, or coffee or mango plants. These projects allow the families to develop and sustain a business amazing!! The families that were helped by IYH were so awesome! They were so proud of their piglets or farms whichever they had chosen. And they were so thankful for our visit. One woman gave us a gift of eggs and tomatoes, even though what she gave us may have very well been the only food she had for that day! Suss, Lydia, Annet, Justine, and Mukasa, who guided us every day as we visited the schools and families and my trip wouldn’t have been the same without them. 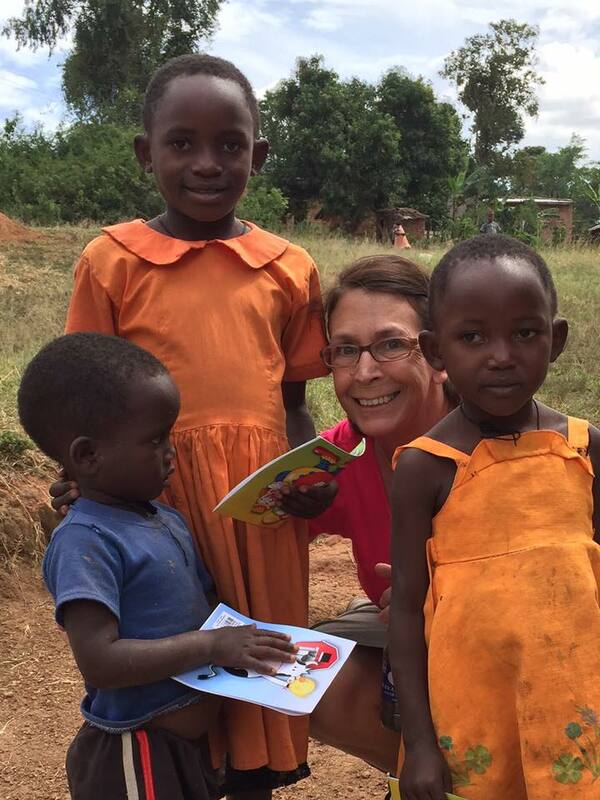 My trip to Uganda was so special to me. I’ve traveled several places but never have I felt so connected to a particular land or people. Being part of IYH, I felt part of something larger, part of a warm, supportive community. I can’t wait to return!